Take advantage of NY archery at its best by taking aim at one of these fun-filled archery ranges in New York. 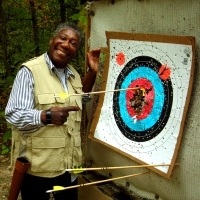 See our complete list of New York archery ranges and make the best of your outdoor adventures in the great state of NY. Fun and Family-Friendly Archery in NY! For all you archery enthusiasts in NY, Suffolk Archers is an organization dedicated to promoting the sport of archery, using traditional and compound bows. The member-owned organization owns a wooded, 20-acre archery park with two ranges, as well as a target course to which members are given 24/7 private access. 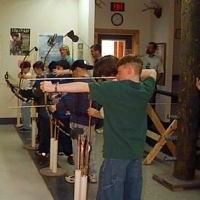 As one of the family-friendly archery clubs in New York, children are permitted (and encouraged) to join. All members will be given access to practice butts from 10-80 yards in two fields, a 28-target field course, 28 Knock-a-Block target stations, 28 life-size 3-D animal targets, a moving 3-D deer target, and illuminated night shooting. Every year members, guests, and visitors are invited to more than a dozen fun events (i.e. : 3-D events, tournaments, league games). Each tournament includes categories for all ages, abilities, and equipment preferences. Great Indoor/Outdoor Archery Ranges in New York! At Creekwood Archery, you'll get access to the finest targets within a top-class facility located in the woods of Brockport, NY. Choose from a nice variety of indoor and outdoor archery ranges. Enroll in one of the indoor or outdoor leagues, available to shooters of all ages and abilities. If you're married, you can even enroll in the couples league! Purchase all the equipment you need at the full-service, 6,000-square-foot pro shop. All arrows are custom-made on premises. For beginning archers, group and individual lessons are available from certified archery instructors. Some of the Most Fun Indoor Archery Ranges in NY! 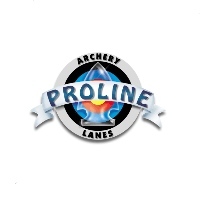 Proline Archery Lanes was originally organized as a club for archers to band together and enjoy the sport, and has now grown into a family-oriented business that's open to the public. The club is home to a 30-position, indoor 20-yard range, which is air-conditioned in the summer months. The knowledgeable, professional staff is more than happy to provide lessons to people of all skill levels. The casual atmosphere makes it easy for customers to meet friends and unite through the exciting sport of archery. The pro shop offers some of the most cutting edge archery equipment. Proline is open 7 days a week and special shooting packages are available. All types of Fun Archery Events in NY! The Queens Archery range and pro-shop is your one-stop destination for all your archery needs. The indoor range is a 2,400-square-foot shooting area, capable of hosting up to 40 archers. The pro shop offers a nice supply of recurve and compound bows. The facility is family-friendly, as you'll see people of all ages testing their skills with the bow and arrow. Everyone is invited to participate in target tournaments, which are hosted every Sunday and Tuesday (when no leagues are scheduled). Other events include league games, Junior Olympics activities, bowhunting safety classes, shooting seminars, and realistic virtual hunting. New York Archery for all Ages and Abilities! Dedicated to promoting the great sport of archery, the Victory Archers club allows you to test out your shooting skills within a regulation, 20-yard indoor range. The club offers championship archery leagues for adult men and women, as well as junior championship leagues for boys and girls. Founded in 1973, Victory Archers is growing and growing, inducting members of all ages. 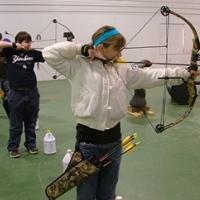 Archery lessons from certified instructors are available to everyone. Also offered are bow and gun hunting safety courses, if you're interested in obtaining a hunting license for either weapon. Buy Top-of-the-Line Archery Products in NY! 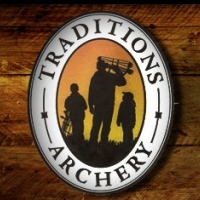 Located in Henrietta, NY; Traditions Archery is a full-service pro shop with professional repair technicians and impeccable customer service. Inside you'll find top-of-the-line archery products from brands like Matthews, Hoyt, and Elite Archery Bows. All in all, the store offers everything you need for your archery adventures, whether you're a beginner or an expert. Every bow you purchase will be set up for you at no extra charge! The store also houses a full, 30-yard archery range. For the ultimate archery experience, feel free to sign up for Traditions' archery league! Both adult and youth leagues are available. A First-Class Archery Shop in New York! At Little Ridge Archery & Gift Shop, you'll find quality archery equipment and accessories from brands like Hoyt, Matthews, Bowtech, and Bear. 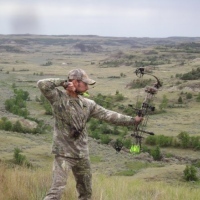 The store also offers custom made arrows and a full-service, indoor archery range. Little Ridge boasts an A+ rating from the Better Business Bureau, and has been an accredited business since 2006. Store hours are 4-9 P.M. on Mondays through Fridays, and 10 A.M. to 4 P.M. on Saturdays. If you'd like to request further information about products at the store or inquire about using the range, call 716-772-7598 or send an e-mail to info@littleridgearchery.net. One of the Great Archery Shops in NY! 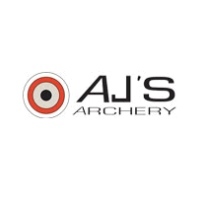 At AJ's Archery, the professional staff aims to please, providing only the best equipment and services possible. Expect the finest archery products the industry has to offer! The store includes a large stock of Matthews products; as well as items from Bowtech, PSE Pro, Browning, Diamond, Mission, and Genesis. You can also purchase topnotch, custom-made arrows by Fletcher Christian. 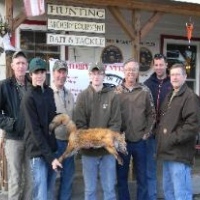 The store is owned and operated by an avid hunting and sports enthusiast. His incredible archery knowledge is invaluable to all the customers who enter the shop. The staff also includes certified bow technicians, who will take extra-special care of your equipment. Browse the website regularly to take advantage of weekly coupons. A Full Line of Topnotch Archery Equipment! 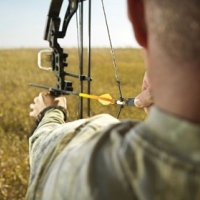 At Extreme Archery, you'll find some of the highest quality archery and hunting equipment in the New York area. The NY archery store carries a full line of equipment, with experienced professionals available daily to attend to all your needs. The stores offers all types of great products and services like tune-ups, repairs, a 20-yard indoor archery range, leagues, private lessons, hunting and sporting equipment, archery supplies, fishing supplies and gear, rods, reels, lures, and taxidermy services. If you'd like to find out more information about the shop and its products, call 914-777-7500. A Pro Shop with Interactive Video Bowhunting! Catering to hunters all over NY, Doc's Archery carries a lot of the latest gear to prepare you for your next hunt. Services included at the New York archery shop and range are shooting instructions for all ages and abilities, taxidermy, and repair services for all your archery equipment. Products include bows by such noted brands as Ben Pearson, Darton, PSE, Martin, and Bear. A recent addition is Doc's Techno Hunt--an interactive video bowhunting range with all of the realistic sights and sounds of an actual hunt! You can also join one of the fun-filled indoor target leagues, available to both children and adults. Buy Archery Equipment and Antiques in NY! A full-service archery and hunting pro shop in New York, Edge of Time Trading Post carries archery accessories and hunting equipment for all seasons. The store prides itself on its products, prices, and old-fashioned hospitality and service. Every visitor is guaranteed a smile and warm welcome! If you don't find the product you're looking for; the staff members will do their best to find it, order it, or offer you a worthy alternative. Find bows, sights, releases, rests, custom arrows, and other accessories you'll need on the range. While you're in the store check out the selection of antiques and collectibles like Southwestern blankets, runners, purses, and placemats; Sioux Indian pottery, cowboy collectibles, vintage jewelry, Alaskan Ulu knives and boards, and Alaskan lotions and soaps. Some of the Largest Archery Ranges NY has to offer! As one of the largest and most complete indoor archery ranges in New York, Insight Archery accommodates 20 lanes with over 40 yards of 3-D targets and a 10-foot-high elevated platform. You'll also find 13 lanes of standard indoor, 20-yard target shooting. Stop by the pro shop, and select from a wide range of archery equipment and supplies. Whether you're a champion shooter or casual bow hunter, you'll find everything you need. Plus, you can receive assistance from some of the finest bow technicians in the NY area! Insight Archery is wholeheartedly committed to promoting the sport of archery through informative lessons, training, and amazing customer service. 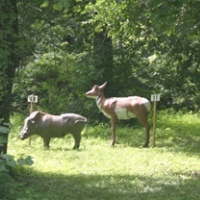 Two Great NY Archery Ranges! 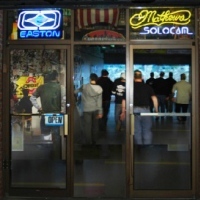 A pro shop and indoor archery range in NY, Archery Solutions was developed with the goal of creating an environment where everyone can develop an interest in archery. Lessons are available for all novice archers. 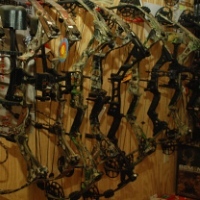 The bows and accessories at the shop include brands like Bowtech, Diamond, High Country Archery, and Easton. 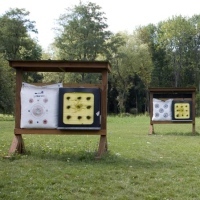 One of the indoor ranges includes 30 Rainhert targets that are rotated weekly. The second, 35-yard indoor range is for shooters who prefer paper targets. If you plan to return to the range regularly, memberships are available. You can also join one of the adult, couples, or youth leagues. Indoor Spot Ranges Open all Year Round! Serving New York State since 1987, Neil's Archery contains 3-D indoor archery ranges with 22 lanes, open from June until mid-October. The spot ranges are open all year round, with 13 lanes in the upstairs range reserved for leagues. The lanes are almost always available for practice and no reservations are required. The staff members at the pro shop pride themselves on solely offering products that they would use on the range or in the woods themselves. The company is a fully licensed dealer of brands like Matthews, Hoyt, PSE, Martin, Mission, Darton, and Alpine. If you're looking to outfit your existing bow, a long line of accessories is available. Indoor/Outdoor Archery Ranges & Cool Competitions! 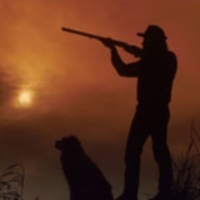 Well-stocked with everything you'll need to become a more successful shooter or hunter, Heritage Outdoor Sports is the go-to pro shop in New York! The products are topnotch and affordable, with unbeatable deals on product financing. If you're looking to improve your shooting skills, you're given the choice of three exceptional archery ranges: a 20-yard indoor range with backstops, a 10-60 yard outdoor range with broadhead and field-point targets, and a challenging outdoor 3-D course. Heritage also offers seasonal leagues, as well as an ongoing summer 3-D shooting competition. Participants in the competition qualify for the shop's fall pig roast, raffles for free gear, and a championship shoot. Winners take home various cool prizes and awards. For all of your Outdoor Adventure Needs! Dave's Archery & Outdoor Supply is dedicated to making sure every aspect of your outdoor experience is rewarding and enjoyable. The complete pro shop contains a generous selection of new and used bows (including brands like Martin, Alpine, PSE, and Bear). The staff will gladly set up your new bow, as well as provide you with expert advice on fit and techniques. 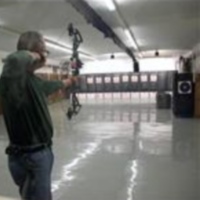 Fine-tune your shooting skills at Dave's indoor archery range. Youth indoor archery leagues are available, with all skill levels welcome. Planning a birthday party anytime soon? The shop's archery birthday parties are a hit amongst kids in the NY area, with affordable party prices and character/novelty cakes available. Quality Archery Equipment and Service! Bullzeye Archery in Bloomfield, NY is home to an archery pro shop and 20-yard indoor shooting range (courtesy of TechnoHunt virtual archery simulators). The shop contains all the tools and accessories needed for both beginning and expert archers, including carbon arrows by Easton and Victory. The company strives to provide top-quality products and excellent service to all its customers. The outdoor range is free to use all year round, and is perfect for testing out your equipment. Follow Bullzeye Archery on Facebook to keep on top of upcoming archery-themed events, including leagues and competitions. If you have any questions about the store, call 585-657-7417. Choose from Three State-of-the-Art Shooting Ranges! Featuring state-of-the-art archery ranges, professional instruction, and a full-service archery shop--Jim's Pro Shop is the place to go for archery in New York. The pro shop contains a quality array of new bows, test bows, restring bows, and cut and assemble arrows. 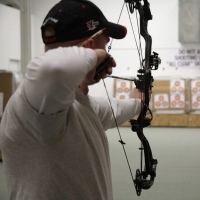 Test out your bow at the indoor target range, where you can shoot up to 30 yards. Or test your skills at the outdoor 3-D range--which contains 15 shooting locations set up at various unmarked distances, throwing you into realistic hunting scenarios. You can also take a try at TechnoHunt's video interactive shooting simulator. A video demonstration is available on the website. Whether you're a beginner or an expert shooter, feel free to join one of the pro shop's great archery leagues! Join this Fun NY Archery Club! 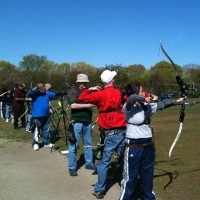 A New York archery club dedicated to the practice and promotion of the sport of archery, the members of Nassau Bowmen meet up regularly at Cedar Creek Park on Long Island. The field contains multiple shooting locations with distance up to 90 meters. The club serves as a valuable training ground for those looking to compete in national and regional competitions. Practice sessions are generally held between April and October. Club members are given access to all equipment and targets, free of charge. Check the website regularly for upcoming special events. If you're interested in becoming a member, the form is available on the website. Buy Archery Products from the Bow Guru! 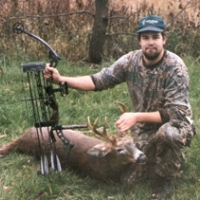 Bow Guru is owned by Ian Brucker, a passionate archer who constantly keeps on top of new archery-related technologies and tuning techniques. His intention is to bring all his latest ideas and techniques to the archery world, even introducing children to the sport. A certified New York State Bow Hunter Educator, Ian regularly holds classes for new archers throughout each year. Locals have complimented the store for its fair prices, great shooting range, knowledgeable staff, and intimate country store setting. Bow Guru offers standard archery leagues to anyone 15 or older. The 12-week league allows to enjoy the thrill of competition in a family-friendly atmosphere. 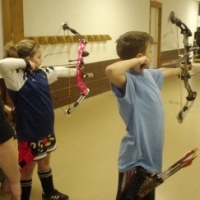 Youth archery leagues are 6 weeks long and available to children ages 5-15.